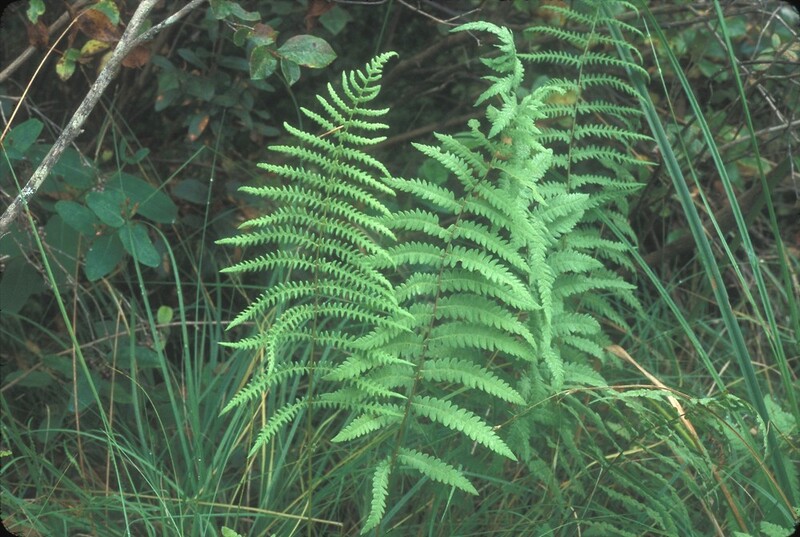 Marsh fern is the only documented food plant of the marsh fern moth (Fagitana littera) in New England. 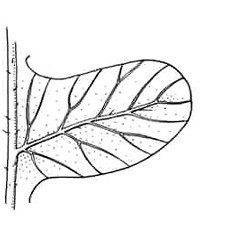 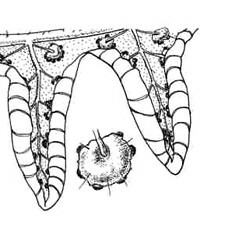 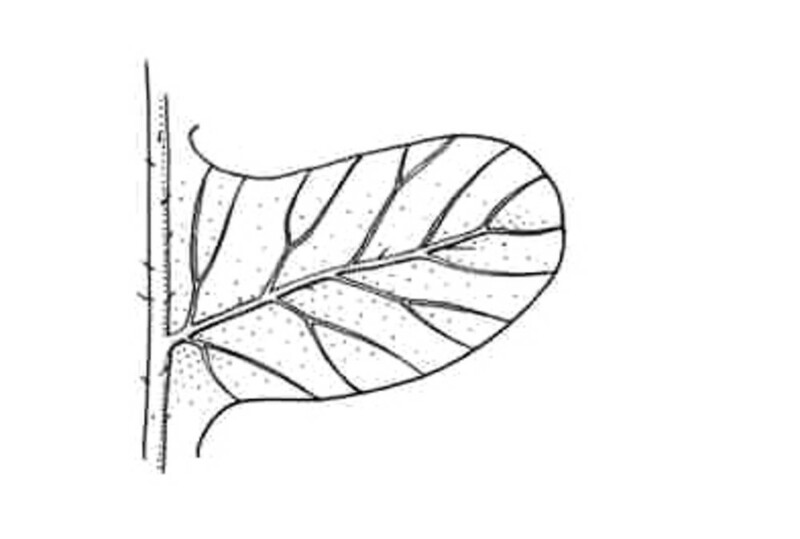 abaxial surface of costae without scales, veins of ultimate segments not forking near margin, and leaf blades with red to orange resinous glands (vs. T. palustris, with abaxial surface of costae with small, tan scales, veins of ultimate segments of vegetative blades usually forking near margin, and leaf blades lacking red to orange glands). 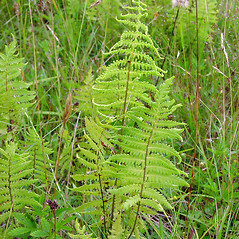 Thelypteris palustris var. 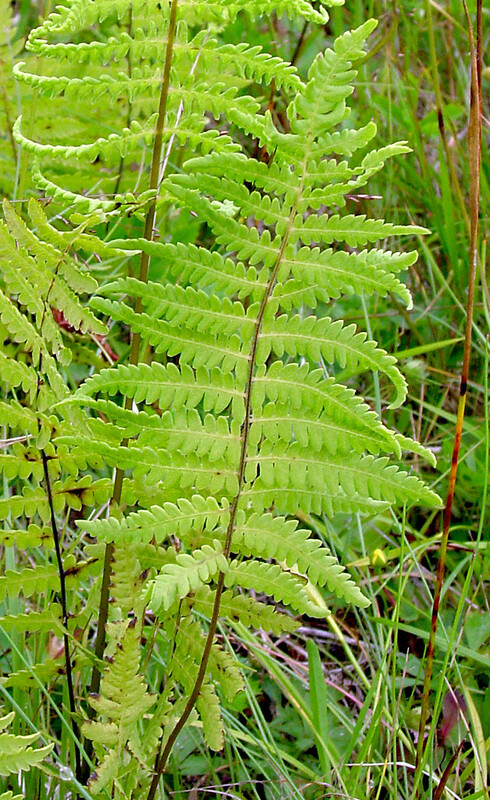 haleana Fern. 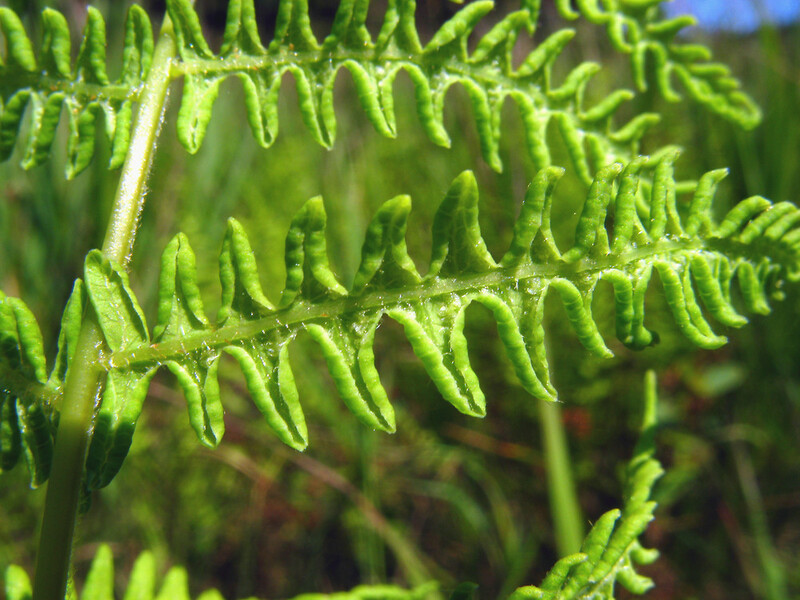 Our variety is Thelypteris palustris Schott var. 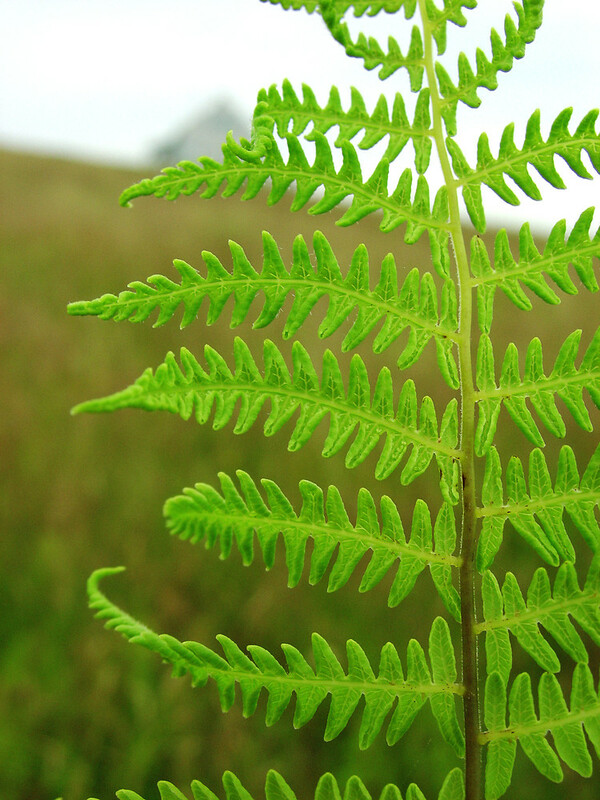 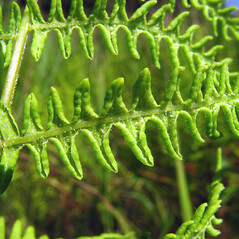 pubescens (G. Lawson) Fern. 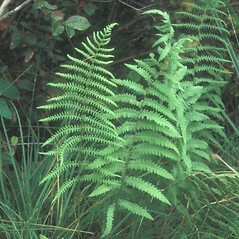 marsh fern. 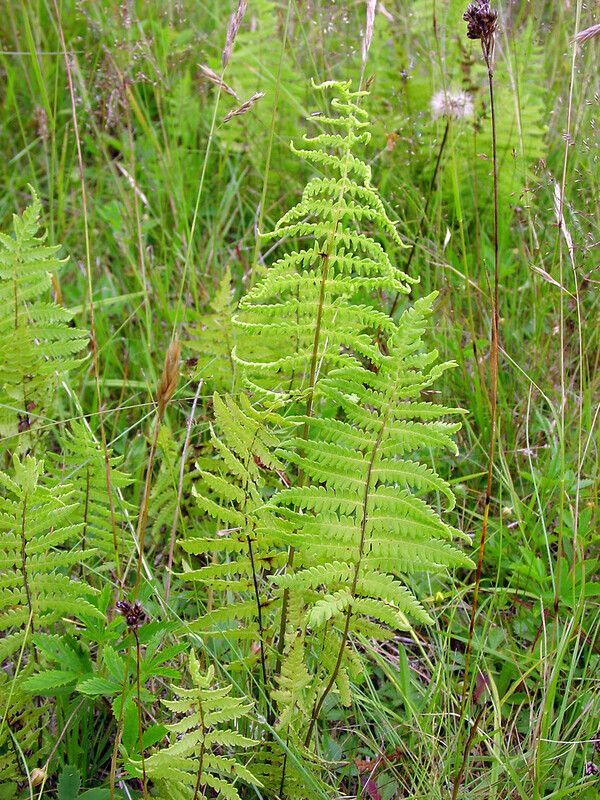 Dryopteris thelypteris (L.) Gray var. 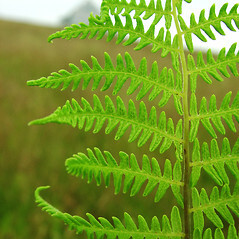 pubescens (G. Lawson) Weatherby; Thelypteris palustris Schott var. 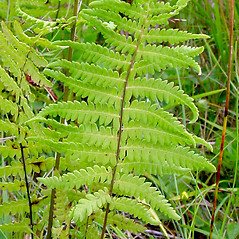 haleana Fern. 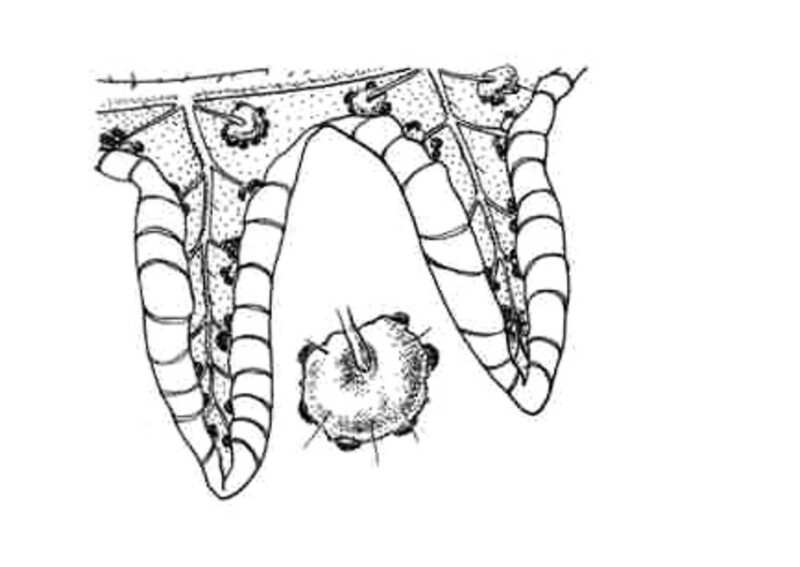 • CT, MA, ME, NH, RI, VT. Swamps, peatlands, marshes, shorelines, and wet ditches.